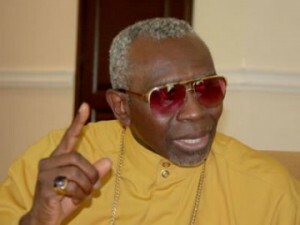 The president of the Christian Association of Nigeria (CAN), Pastor Ayo Oritsejafor, has faulted the Federal Government’s decision to engage in unconditional dialogue with the Boko Haram Islamic sect. The cleric expressed his reservations yesterday in Akure, Ondo State at a meeting of the national executive council of the Association. According to the respected clergy man, the government has no basis to dialogue with Boko Haram since the militant sect have not shown readiness to lay down their arms and toe the line of peace. He said the Amnesty programme initiated and promoted by the former President Yar’Adua was pursued only after the Niger Delta militants agreed to cease-fire. “Life is about dialogue, wars never solve problem, I am not saying dialogue is not good but there must be basis for it, people are dying everyday as a result of the attacks of the sect, yet the Federal Government is opting for dialogue, it is puzzling to me. “The whole concept is wrong. Why should we compensate murderers? To pay money to those who killed innocent souls? What happened to the families of their victims? Who will take care of the widows and orphans after they had killed their breadwinners? He reportedly insisted that it is only after these conditions are observed that “we can talk of meaningful dialogue”. He went on to advise Nigerians to remain vigilant of activities going on in their immediate environment, maintaining that prayer is the only way to tackle the evil of insecurity in the country. hamidu, God’s grace is tru the blood of jesus nt in d laws of moses. So d law hav no important roll in our race, knowing fuly dat law only tell u ar a sinner but hav no solution to d sin of mankind, is only d grace of God tru christ Jesus, we cn get tns done nt by law.